Few companies achieve a successful customer-centric software implementation on the first try. In fact, many mature businesses have written off at least one significant investment in a customer-centric solution. Lack of success often comes back to a lack of critical resources and understanding of how to balance and manage the people, process and technology challenges inherent in any technology project. ISM’s time-tested approach addresses each of these elements holistically to ensure the success of our clients’ customer-centric initiatives. Our proven methodology takes into account each client’s unique strategic objectives, processes, culture and systems-integration needs. We have accumulated extensive knowledge of best practices in each of our core focus areas, and we have found that success inevitably depends on the degree to which these best practices are followed. When properly deployed, we know from experience that our clients’ customer-centric programs can achieve sustainable user adoption and produce a significant return on investment. ISM’s implementation services offer critical leadership and support as Strategic Advisors and Subject Matter Experts (SMEs) during the implementation process. Services are provided in can be provided in either a consulting or staff augmentation approach. Following is a brief overview of key roles relevant to each approach. Strategic advice in the key areas of people, process and technology leadership and management. People: (e.g, change management, training and communications, program development and execution). Process: (e.g., documentation of existing processes and the development of new processes including design and implementation). 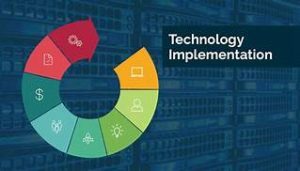 Technology: (e.g., performance planning, technical design reviews, enterprise architecture & infrastructure design, data management plans, design and implementation). Program and Project Management: (e.g., project plans, project scope, schedule and budget management, management of internal team leads, management of technology vendors, steering committee reporting). ISM provides the resources needed to complement our client’s staff to ensure the program meets overall objectives and each phase is delivered on time, on budget and on-schedule. Subject Matter Experts: SMEs as needed in the critical areas of people, process, technology and program/project management. Best Practices: Industry knowledge, templates and methodologies needed to enhance productivity and attain desired results. To learn more about ISM’s implementation services, call (301) 656-8448, or e-mail us at sales@ismguide.com.